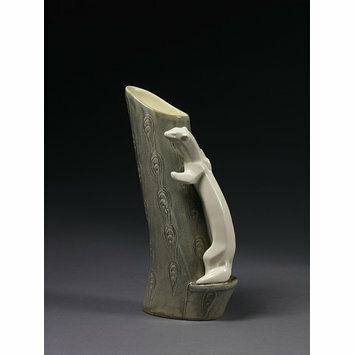 Earthenware vase, in the form of a tree trunk with a weasel standing on its hind legs, forepaws against the trunk. The tree trunk with a series of repeated, moulded knotholes covered with a speckled yellow/grey glaze, the interior cream. The weasel is white with a clear glaze. Trunk and weasel cast separately. 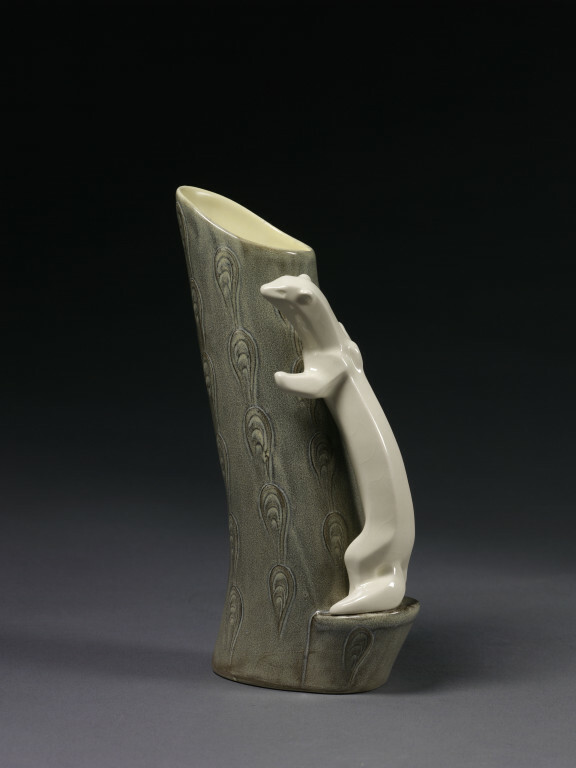 'Weasel Tree' vase, cast earthenware with coloured glazes, modelled by Marion Campbell, decoration by Colin Bentley Rawson, made by Hornsea Pottery Co. Ltd., England, 1956. Trial sample, not put into production.